The legendary Triumph enthusiasts social gathering takes place at the Fox Inn in Saltburn by the Sea over the weekend of 17th - 19th May. Club Triumph is proud to announce details of the 2019 Autosolo - click on the link above <title> to go to the event page for further details, regulations and to ENTER online. Ever wondered what's involved to navigate on a road rally? Taken part in a few rallies as a novice or beginner and want to move on to the next level? Here's your opportunity with our Table Top Rally Series. It's FREE to enter for all members. Head over to the Table Top Rally page via the title link, or under the Competitions Section above for further details. re Co Driver needed ! 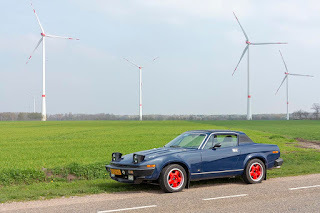 by "Greta"
re Unmatched wire wheels and hubs by "glang"
re Unmatched wire wheels and hubs by "A TR7 16V"
RVL 17L by "Pete Arnold"
re Non O/D to O/D conversion help please by "Don Cook"